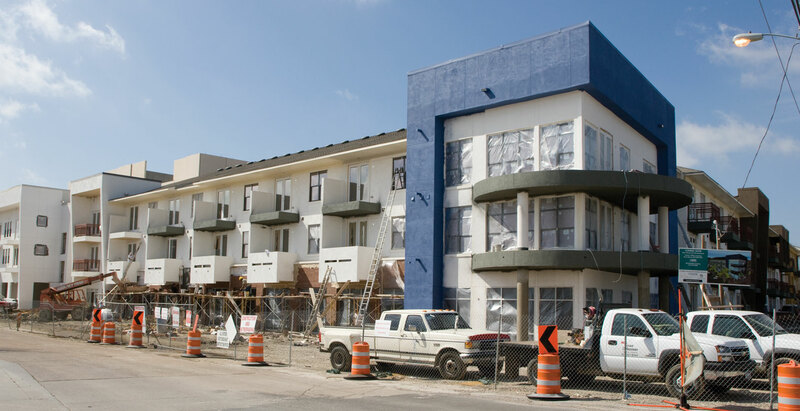 Excitement is building in downtown Garland as major new investment takes shape just a few blocks away from the DART Rail station. Oaks City Center opened two more apartment blocks in October and a multistory parking garage is being constructed, both close to City Hall. The new Heritage Crossing corridor seamlessly connects the main library andRichland College-Garland Campus with Downtown Garland Station. According to Garland City Manager Bryan Bradford, the influx of new downtown residents also is stirring up other local business traffic. A new Texas-style barbeque restaurant offering craft beers is scheduled to open this fall. Bradford said DART has helped initiate much of the revitalization. “We had ambitious plans for improving our downtown, from sprucing up some of our historic buildings to adding green space and improving walkability with additional sidewalks,” Bradford said. “The opening of the Blue Linecertainly provided us with transit-oriented development opportunities.